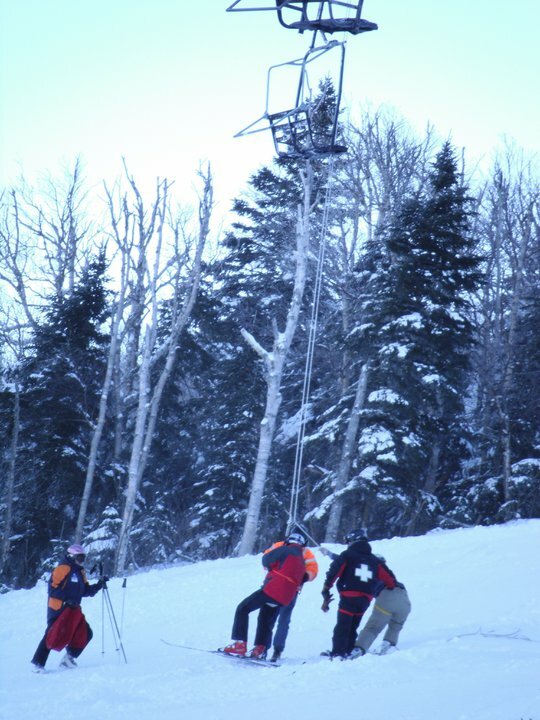 NOTE: This is my perspective on the Sugarloaf chair lift accident on December 28, 2010. Although I did not eyewitness the accident itself, I did see the rescue efforts and PR response in person. While the MOST important point of the day was the successful treatment of injuries and rescue of those stranded on the lift, I wanted to commend the stellar efforts of the resort staff from a communications perspective. Safety comes first — and I’m grateful for the fact that everyone injured seems to be healing — but there’s an important “oh by the way” here to congratulate Sugarloaf’s marcom team. Because I do this work with clients every day, seeing it successfully unfold in person — by a staff that does not handle crisis every day — was a unique experience. I hope that this case study is helpful to others. What’s every skier’s worst nightmare? Not being stuck on a Black Diamond or falling and breaking a leg. It’s a chair lift accident. You can get pretty high-up in those things, and if you think about it too much the situation can seem slightly precarious. Every time I look up at the cable that my chair moves along via that smallish hook, I get a little bit nervous. All of us do, on some level. My family of four, along with 10 in-laws, was at Sugarloaf Mountain on December 28, 2010, when the chair lift accident happened at about 10:30 am. People on five chairs between two towers where the cable derailed fell 20-30 feet to the ground — fortunately onto two feet of newly fallen snow. Eight of those who fell were taken to the hospital, none with life-threatening injuries. This news report includes video from one of those in the section that fell. Our group had just exited the chair lift from our condo when the accident happened. It was a beautifully clear day, albeit windy. The temperature was about nine degrees, well below zero with wind chill, so everyone was in face masks and goggles. We came up from the condo late because we knew that many of the lifts were closed due to the wind. I didn’t know there was a problem until about 10:35, when the chair lifts in the area of the accident were all closed to let rescue crews and medics up the mountain. A chair lift operator informed me and my daughter that there’d been an accident on another lift and that other lift personnel were mobilized to help out. The info provided by that employee was calmly and succinctly delivered, and I remember that no one around us was panicking or worrying. We saw the Snowcats and snowmobiles zooming up the hill past us. They were all moving quickly, and everyone got out of their way. 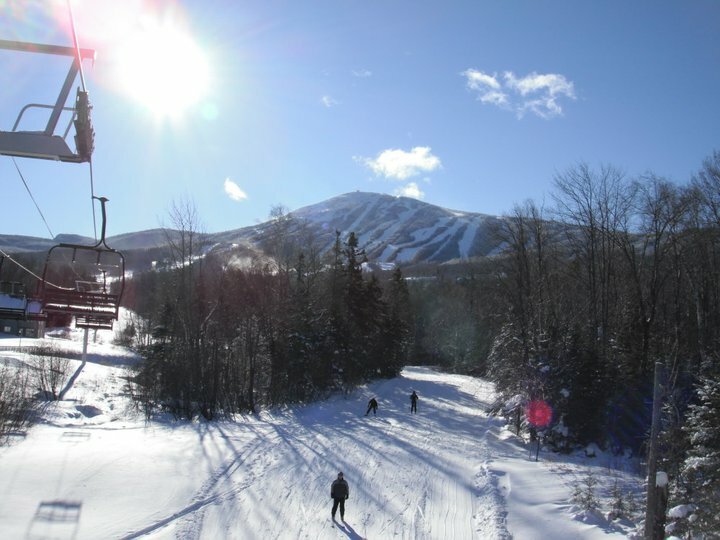 View from a lift at Sugarloaf on 12/28/10. Image courtesy of nephew Nathan Roehrer. Soon afterwards, I’d say within 30-45 minutes, the other lifts started back up again. My daughter and I rode Whiffletree up the hill and came down by the Spillway East lift — the one where the accident occurred. We saw the rescue staff unloading people with a pulley system. The usual crowds were at the resort, and everyone seemed to be going about their business and not worrying about the situation. In the mid-afternoon, around 3 pm, my daughter and I stopped at the base lodge, where a news crew from a French-Canadian station was interviewing a resort employee who spoke French. Everything was handled very professionally. Messaging was provided in a timely fashion, without speculation or inconsistency. This included video provided by the resort of rescue drills. There was a CNN employee on-site the day of the accident, providing live updates as things occurred. Being under the news microscope is tough, and the Loaf’s staff were up to the challenge. Information was put on the resort’s homepage with regular updates on the incident. I’m not sure whether there was a dark site already prepared with messaging to handle any chair lift accident. Whether it was written on the fly or in advance, it was done well. Consistent reports were also provided on the Facebook page, as well as on Twitter and in forums, in a more informal tone that was appropriate for the medium. There have been a fair number of snarky comments on news sites, and even a few on the Sugarloaf Facebook page. Most of the comments seem to be critical of Boyne, the resort owners, or random comments about how attorneys will take advantage of the situation. I can’t find any evidence of Sugarloaf staff responding back in kind. All of the communications have been on-point and informational, without backlash or inappropriate response by employees. Big brands like Nestle (remember their less than sweet 2010 Facebook incident?) could learn a thing or two. This is a great case for how brand loyalty can carry an organization through crisis. There has been so much support shared online for the resort and its staff, as well as through “victim” testimonials in interviews by news media. Every video I saw of someone on the lift said that they will be coming back. I would like to see a video statement from Sugarloaf leadership. This would have made their message more genuine and less “one step removed” than written statements. There’s a well-populated YouTube channel for the resort that would be well-complemented by a statement from leadership expressing concern for those injured and articulating a safety and go-forward strategy. The video would also be helpful on the resort’s website — in particular on the homepage. Even if it’s rough — as in the Domino’s example from 2009 — it demonstrates attention and caring. The special page dedicated to the incident only includes the latest press release. No false advertising here….it says so on the homepage. Having all of them in one place would be more helpful for people who want to see everything. I like the way it’s organized on the media page. Clearly, Sugarloaf is well-loved by its devotees. This was my first visit, and I have to say that the professionalism of the staff and the beauty of the site and quality of the skiing will all bring me back.